The colors on this chart are represented as closely as possible. * color of initial primer coat. Color is a powerful force in any area, but especially in the workplace. It can improve employee morale, enhance your image, increase productivity and contribute to the safety of employees. 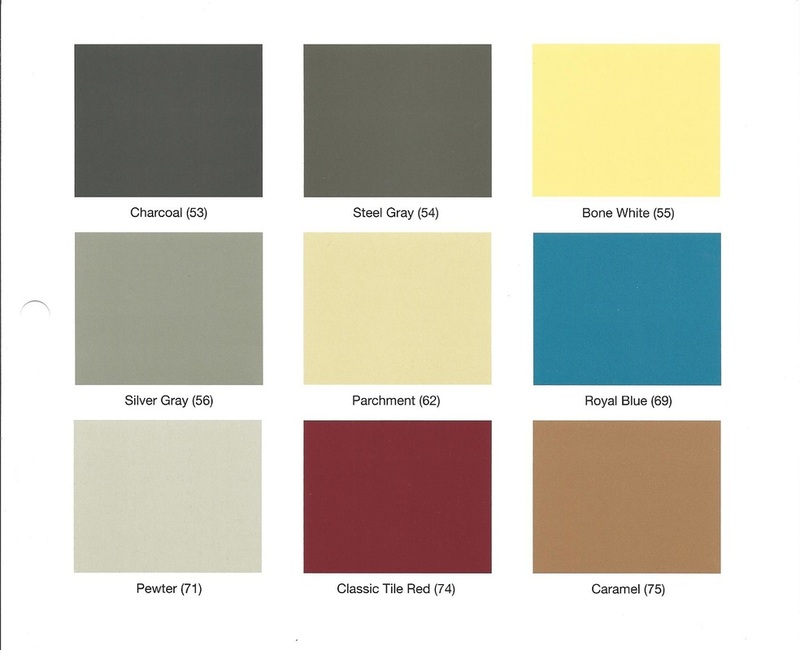 Atkins General Construction strives to provide the products and services you need, in the color you require. 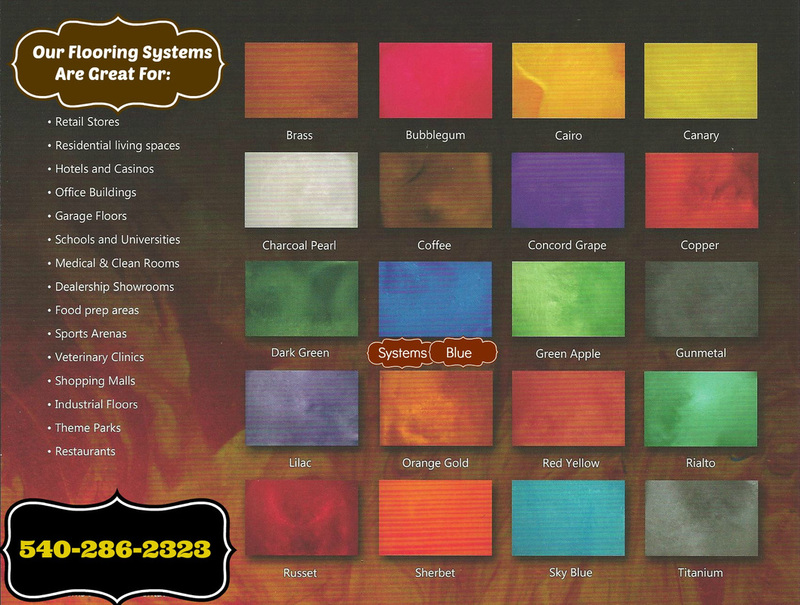 In addition to the standard colors identified above, custom colors are also available. 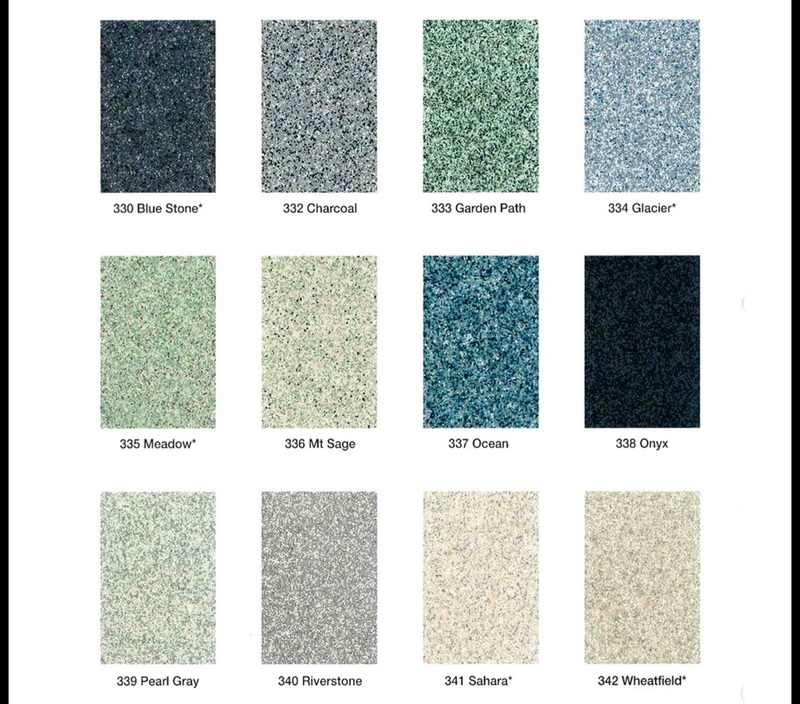 The final appearance of a flooring system is affected by preparation, texture, lighting, gloss, and application. 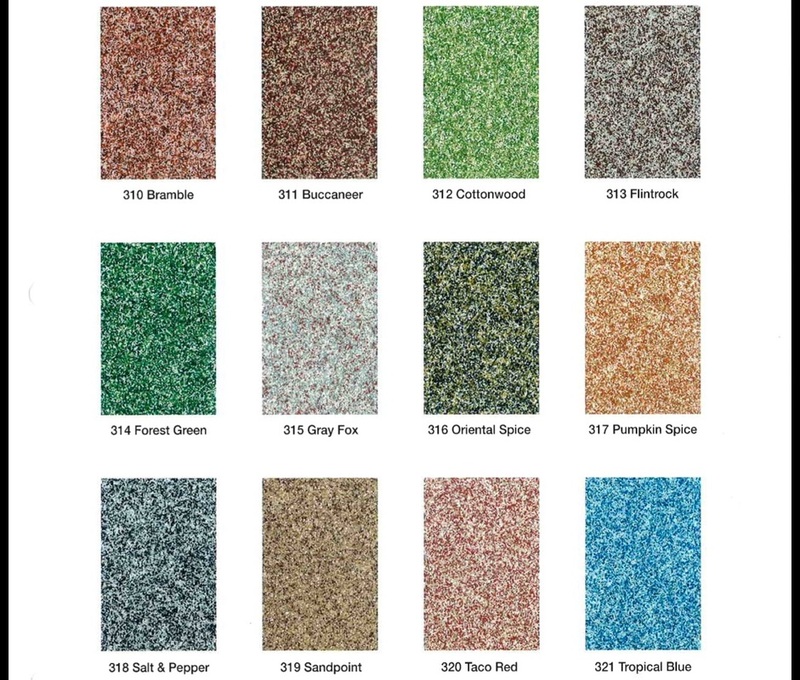 Prior to installing a flooring system, it is recommended that a "test patch" be performed, using the same surface preparation, product and application method as specified. This will allow all parties to agree on the final appearance and ensure it meets all expectations. Atkins General Construction is recognized nationwide for our outstanding customer service and support. Our flooring experts will work to answer your questions and recommend the best product and system-solutions specifically tailored to your needs. Our representatives are backed by a team of Corrosion Specification Specialists accredited by NACE International. You can be confident that our teams of highly-skilled and professional installers will be certain to help you get the job done right, from start to finish!